SoftBank's latest robotics acquisition could allow it to open up a whole new market for service industries and home help. Its customer service and companion robot, Pepper, is somewhat limited by the fact that it can't do much more than wave its arms and talk. Now, though, SoftBank has its eyes on the fetching and carrying capabilities of BigDog and Spot, the dog-sized pack robots developed by Boston Robotics. SoftBank, originally an ISP and mobile network operator, moved into robotics in 2014 when it bought Aldebaran, the French company behind the diminutive humanoid robots Pepper and Nao. Aldebaran was known for its work on recognizing and responding to human emotions, and its robots have found a niche for themselves welcoming guests in high-end hotels and retail stores. They also play a role as listening companions, with applications in health care, education and care for the elderly. What Pepper and Nao can't do, though, is carry luggage or shopping, or help around the home. 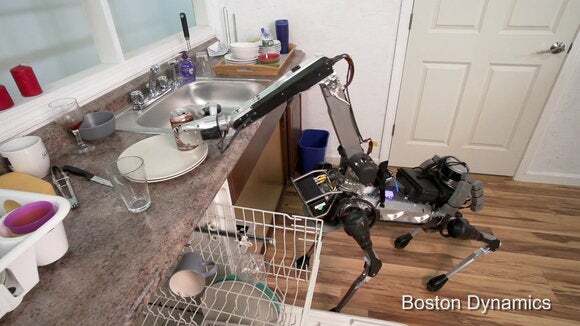 That's where Boston Dynamics comes in. The company started life as a developer of military pack robots, before it was acquired by Google. Following the search giant's restructuring as Alphabet, though, Boston Dynamics didn't really fit in. The company's robotics division lost direction after its head, Android creator Andy Rubin, left to build a new smartphone. Boston Dynamics and another Alphabet-owned property, the Japanese robot designer Schaft, had been up for sale since early last year. Four legs good, two legs better? Schaft makes two-legged robots for industrial and service tasks and while Boston Dynamics made a name for itself with four-legged robots, it has more recently been working on a two-legged model that can run and jump, called Handle. 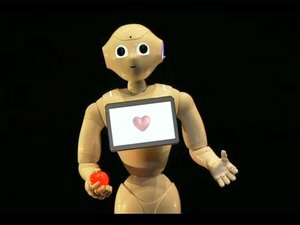 With its alien-cyborg-warrior vibe, it's unlikely people would welcome Handle into their homes, but if SoftBank can blend Handle's physical capabilities with Pepper's wide-eyed, soft-voiced demeanor, it could have a domestic hit on its hands. Masayoshi Son, Chairman and CEO of SoftBank, clearly wants Boston Dynamics to walk away from the battlefield, saying that under his ownership the company will explore applications that can help make life easier, safer and more fulfilling.